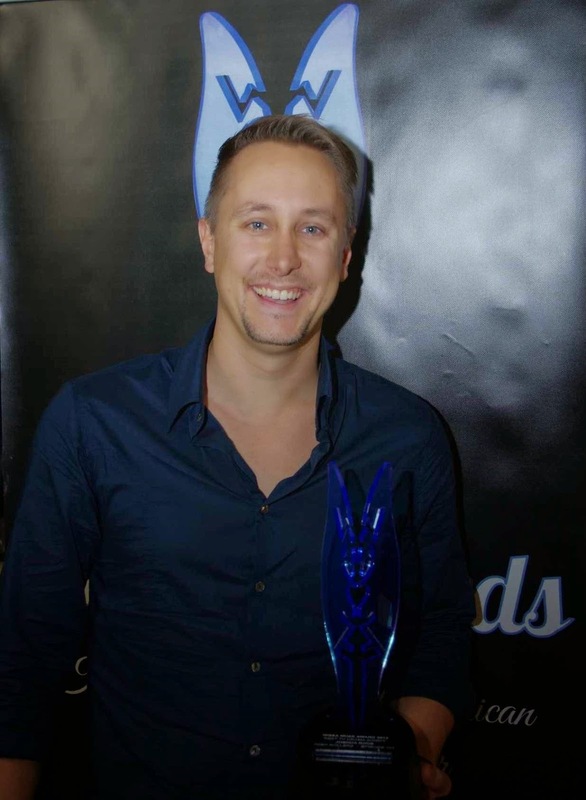 TV with Thinus: Writers' Guild of South Africa (WGSA) hands out Muse Awards in another monumental step forward in recognising TV and film writers in South Africa. Writers' Guild of South Africa (WGSA) hands out Muse Awards in another monumental step forward in recognising TV and film writers in South Africa. Shirley Johnston accepts her Muse Award Trophy for Felix as best feature script at the inaugural WGSA Muse Awards. Recognising, valuing and rewarding writers in television and film in South Africa took yet another monumental step forward when the Writers' Guild of South Africa (WGSA) held the country's inaugural WGSA Muse Awards on Saturday evening at the Barnyard Theatre in Cresta Johannesburg. Award winners who received a Muse Award Trophy include Fidel Namisi for Tooth and Nails (Best TV comedy script), Joshua Rous for the pilot episode of SABC3's High Rollers (Best TV drama script), Gisele Turner for eLimboland (Best stage play script), Shirley Johnston for Felix (Best feature script) and Kelsey Egan for The Chemist, a feature film (Best spec script, unproduced work). 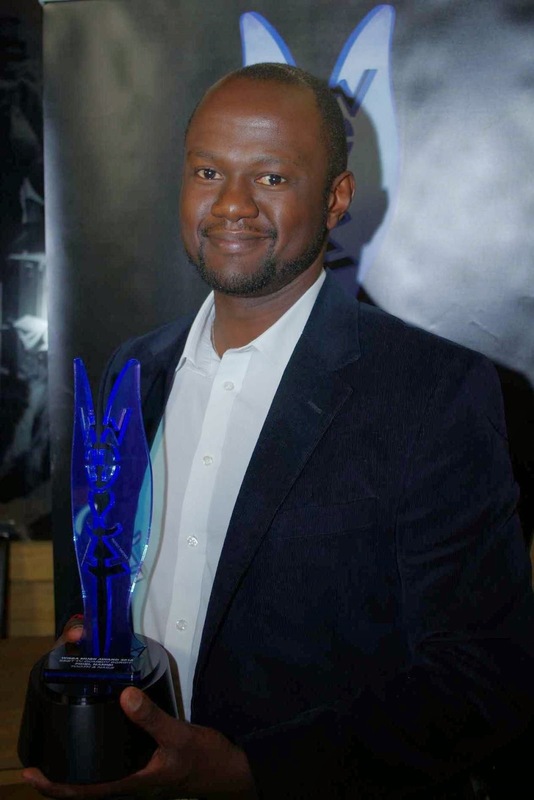 Fidel Namisi who won for Tooth and Nails as Best TV comedy script. Thandi Brewer received the WGSA Special Service Award. "Finally there is an award which acknowledges the creators of local entertainment; the incredibly talented writers who take an idea and give it life, a face and unique character, which is then brought to the screen by the actors, directors and producer," says Harriet Meier, WGSA chairperson. The WGSA believes that the Muse Awards will grow to become a regular and much-anticipated event on the local calendar. Harriet Meier, WGSA chairperson addresses the Muse Awards audience. WGSA member Richard H. Nosworthy of Plum Productions headed a team of musicians, vocalists and performers from the South African Guild of Actors (SAGA) to produce the WGSA Muse Awards with Jack Devnarain (Rajesh in Isidingo) who was the master of ceremonies. Zama Mkosi, the chairperson of the National Film and Video Foundation (NFVF) delivered the keynote speech at the WGSA Muse Awards which ran for 100 minutes, as scheduled, with a wide cross-section of representatives from South Africa's broadcasting industry present. Joshua Rous who won for High Rollers as Best TV drama script. Muse Award Trophies were presented to winners by Verona Duwarkah (the head of SABC Television), Ayanda Halimana (commissioning editor at Mzansi Magic and Mzansi Wethu TV channels), David Makubyane (the acting general manager of local conten tfor On Digital Media and StarSat), Paul Raleigh (producer of the Oscar-winning film Tsotsi, and Nkateko Mabaso (general manager of M-Net's local interest channels). The WGSA Muse Awards was followed by dinner and a good networking session and many attendees stayed for the Barnyard show, Battle of the Sexes.